Aimee Kennedy, senior vice president of philanthropy and education at Battelle, has been appointed to a new panel authorized by Congress to advise the Committee on Science, Technology, Engineering and Mathematics Education on STEM-related issues. Kennedy is one of the 18 members named by the National Science Foundation to the STEM Education Advisory Panel established through the American Innovation and Competitiveness Act, Battelle said Wednesday. 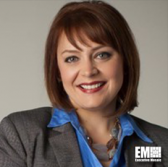 Gabriela Gonzalez, Intel’s deputy director for the Greater Americas region, will chair the panel and David Evans, executive director of the National Science Teachers Association, will assume the vice chair role. “I am looking forward to serving with these impressive members from industry, higher education and other key STEM stakeholders,” Kennedy told GovConDaily Thursday. “As we know at Battelle, technology is moving fast. We need to align our STEM priorities to keep pace with that change. I will bring that mindset as a committee member,” she added. Prior to Battelle, Kennedy served as chief administrative officer and principal of Metro Early College High School. She is chair of NASA‘s advisory council ad hoc task force on STEM education and sits on the boards of nonprofit organizations in Columbus, Ohio, such as the Center of Science and Industry and KIPP Columbus. NSF announced the appointment of new panel members in consultation with NASA, the Department of Education and the National Oceanic and Atmospheric Administration.